And yet, so much has happened that the actual launch of Horizon Zero Dawn sometimes feels like a distant memory. 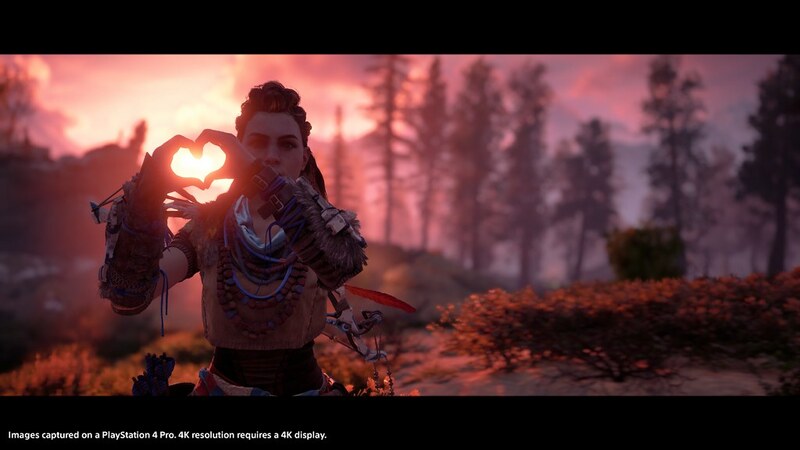 The positive critical reception; the explosive rise of fan artists, cosplayers and Photo Mode experts; the rollout of patches containing new functionality; the release of The Frozen Wilds and the Complete Edition; the various awards and honors bestowed on Horizon Zero Dawn and its creators. All of these occurred in such rapid succession that we’re still trying to wrap our heads around them. Throughout the entire month of March, the PlayStation Gear store will be running an anniversary discount on the Modern Icons Aloy statue: get 25% off when you enter the code ‘anniversary’ at checkout, while supplies last! If you don’t have Horizon Zero Dawn yet, now’s the time to take advantage of the ‘Critic’s Choice’ sale on the PlayStation Store! Until March 6th, Horizon Zero Dawn: Complete Edition is being offered at 30% off for regular customers, and 35% off for PlayStation Plus subscribers. I’m waiting for the only in America, since Sony only cares about them. Greedo, this is the US PlayStation Blog after all. Have you checked the EU blog? Your account region is UK. Exactly. You know how many great PS Store deals I see online only to find out it was EU store only. I see it all the time on Facebook. Drives me crazy. Well this is the US blog but I’m sure the avatars and theme will available to everyone. @kisuma1, how can you tell greedoN7 account is UK? Congratz Guerrilla Game! You deserve all this success, Horizon Zero Dawn was my GOTY of 2017. Can’t wait for the sequel. This was my favorite game in all of 2017. Nice to see the one-year anniversary celebrated with meaningful promotions like the free avatars, free theme, and the PlayStation Gear store promo. Also, a nice sale price being offered to those who haven’t gotten this amazing game yet. My only wish? More and more and more HZD related content with more of the great story telling! I love this. Where’s the avatars i can’t find it. +1 to your reading skills. Says they will be available tomorrow. “Available tomorrow as free downloads from PlayStation Store…” It’s the first sentence, dude. its available now… according to the Australian PSN Store. I mean, I don’t think it’s terribly impressive for a franchise like Zelda to outsell a game like Horizon, Breath of the Wild could have been an absolute trash-fire and still sold a couple million units. While there are three times as many PS4s as Switch/WiiU units, I’m still impressed that Horizon matched total BotW sales over the first year since it’s a new IP, from a relatively inexperienced studio, which had only produced a single other totally different franchise (and will have soon sold more units than entire said franchise). Best exclusive for the PS4 in my eyes. Loved this game have to go and play it again sometime and try to get the rest of the trophies that im missing. I’m on my 3rd playthrough and still loving every second of it, it’s my new #1 favorite game! An absolute masterpiece of a game. Glad to see gamers aren’t buying the corporate narrative touting single player campaign driven experiences as a thing of the past. I sincerely hope that this reminds those tone deaf conglomerates that gamers will always flock to this kind of quality content. cant wait. for the stuff. already have MH World gear fully made. My favorite game of 2017. Everything in it was perfect! It’s hard to believe it sold more than 7 million,damn…but it fully deserves.Best game of 2017,best PS4 exclusive game,2nd best open-world game and 2nd best PS4 game.In all PS exclusive games history Horizon is only 2nd to TLoU.What Guerrilla managed to achieve with Horizon is beyond outstanding…and only one who knows nothing about game development don’t see that. 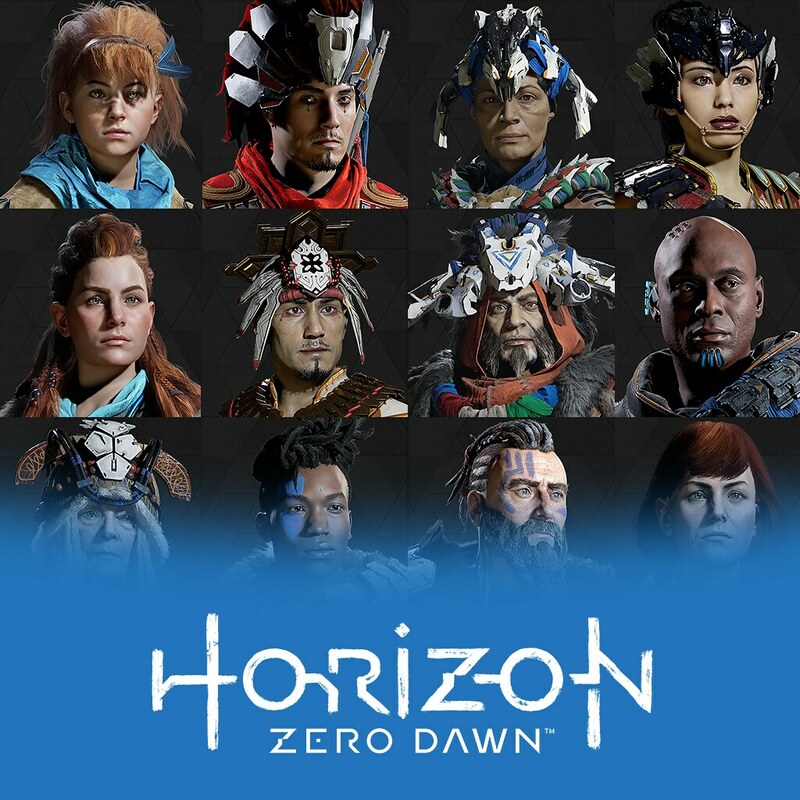 Also FINALLY we on the US will have good avatars of Horizon.Thank you very much Guerrilla…I’ve been waiting for this.This is how you celebrate the anniversary of your game,wish other devs cared as much about their games. PS:I hope y’all are working really hard on that Horizon 2 cuz it’ll be hard to top the 1st one hehe. I’m playing through it for the first time now. I’m about 85% through. I did all the side missions as they came. It’s been good so far. Horizon Zero Dawn was my top game of last year. Such a refreshing open world rpg with probably my favorite female lead in gaming. Still hard to believe it was made by the same studio who made those Killzone games. I wasn’t a fan of those, sadly. It has been a year and I’m still playing this awesome game! 30% and 35%? sorry but that’s not a good deal to me, i really want to get the game but i will wait for a 50% deal or better. Dude, support the studio, they really deserve it. I understand buying COD 561 at half price, but this game is easily worth the full price. Congratz GG. HZD was beyond great. Glad to see the high sale numbers. So when can we expect HZD2? Hopefully the next game will havemore dlc/expansions. So many areas/clans in HZD that could have had their own dlc, and im sure most of us would have bought. this game was amazing can’t wait for the next Horizon Zero Dawn or Guerrilla games next thing the collector’s edition looks nice on my self. You guys have a serious issue with finding content on the store. No link in the article doesn’t help. Maybe it’s me? I can’t find the theme or avatars at all. Disregard last comment as I don’t seem to know what day it is. i cant find the avatars in the us store, do you find it? Games like Horizon Zero Dawn are the reason I’m a die-hard Playstation fan. I adore this game. Congrats to Guerilla and Sony on the great sales! This game deserves it. Make sure the region for the DLC you purchased is compatible with the region for your copy of Horizon Zero Dawn. You can find a list of compatible codes and other troubleshooting tips at http://bit.ly/hzdfaq. So my disc copy is cusa 07319 (europe). And i don’t know my dlc numbers. Can’t find the Modern Icons #2 – Horizon Zero Dawn Aloy Statue in the PlayStation gear store sooooooo where is it? The statue is currently available from the US Gear store only. You can find it at https://gear.playstation.com/en-us/modern-icons-2-horizon-zero-dawn-aloy-statue. I got the ps4 pro, thought about The Last Guardian, Horizon Zero Dawn & how these games were going to be enhanced for the pro. Took a bargain by getting either. Just knowing that Killzone came from Guerilla games made me not want to buy HZD but I quickly glimpse it’s story & how it took place in a Fallout type setting but with machines got me interested. Bought it & in the first 30 mins I was hooked. One of the best looking games & a very adaptable UI. I’ve played many 3rd person games & this is one for the books. 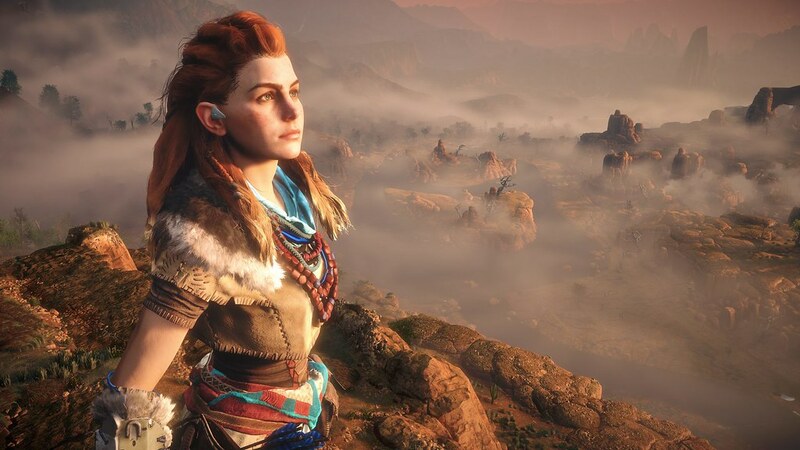 Horizon is a stepping stone on how far we’ve come along in games. Can’t wait to see what’s next ..